Help Joy turn a shabby homestead into the Farm of the Year by growing a variety of mouthwatering vegetables and turning them into the products her customers want. Equip your farm with ropes and ladders so your workers can fetch water and take their harvest to the storehouse in this unique Time Management game. As you catch your breath between stages, upgrade your farm and purchase the plans to build ever-more elaborate production facilities and experience The Joy of Farming! 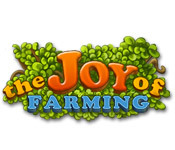 The Joy of Farming is rated 3.8 out of 5 by 6. Rated 5 out of 5 by twlghtdancer from Takes some time One of the things that tends to annoy me is games you can get all gold levels on within a day of playing, and be done with all the challenges the game has to offer... The Joy of Farming is more challenging than that. You may need to look up walk throughs to get a better idea how what order to do things, but I've returned to this game many times over. Graphics are fun and clear, and the general idea is fairly easy to play. You have to think and plan ahead, which is most of the challenge. 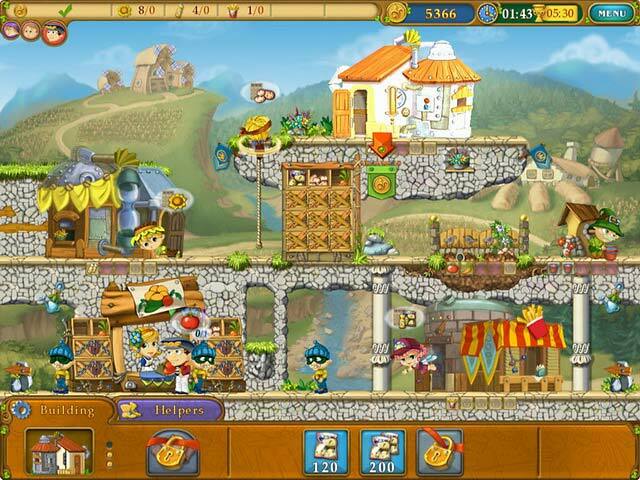 Rated 5 out of 5 by tlc22067 from Love this game, played it 3 times over! Whens the next one coming out? Rated 5 out of 5 by ktosch from a unique game This is an excellent game that is different from all others I have played. Basically you need to sell a specific amount of different goods to pass the level. But how you get the goods is different, there is a farmer that can grow things, then workers that run machines to make them into something else. Alot of freedom in what to upgrade and when to upgrade it, which is where a lot of the strategy comes in. Lots of strategy needed if you are looking to get gold on the levels (some are REALLY hard to accomplish! but it is possible as I have done it). But if you like to take your time that's fine too, you can take as long as you want to finish the levels. Love the music, story line is pretty loose. 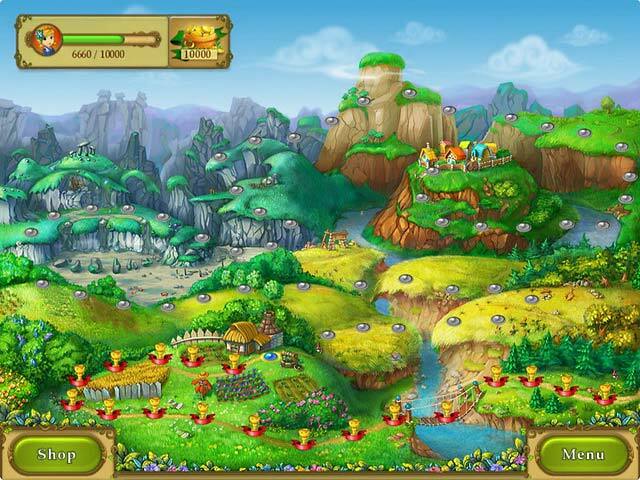 If you like strategy games, you'll like this game. Rated 3 out of 5 by simhaup1 from Fun game but kinda hard I'm liking the game, but finding it to be difficult to make gold or even silver on levels. The constant of the clicking for the thieves is ridiculous. Overall the game is fun and challenging. Rated 3 out of 5 by urettini from a little too much clicking I would give more stars if it wasn't for all the clicking necessary to get rid of thieves. that is very annoying. 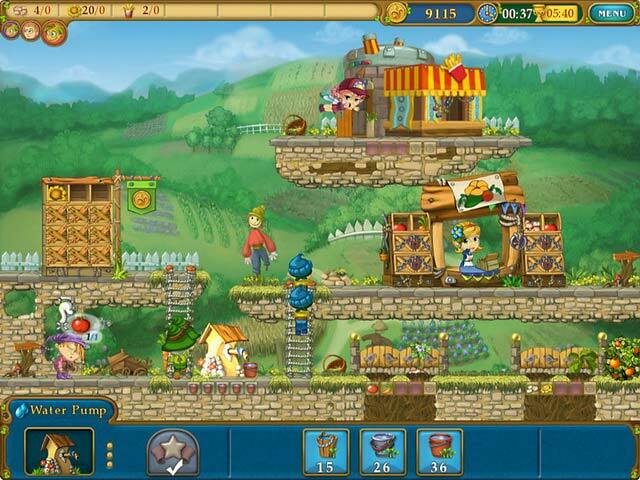 Other than that, the game is fun, very similar to Farm Frenzy games in concept, but a little too difficult to get silver or gold in most levels. I am enjoying it though. Rated 2 out of 5 by NoSpamPleaseLOL from Too Many Things To Click At Once I am an avid time challenge game player. I love clicking my way to a gold trophy on these kinds of games but in this game there is just way too many things going on at once. You have to click a robber to cage him but he comes so often that you lose track of planting and clicking to make juice and selling...It's not the clicking just that you have to click on everything all at the same time. I love these kinds of games but this one was not well thought out.